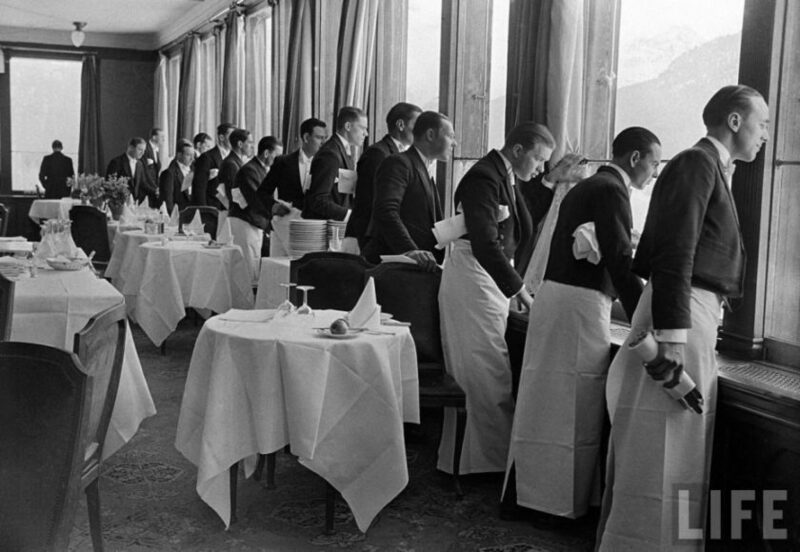 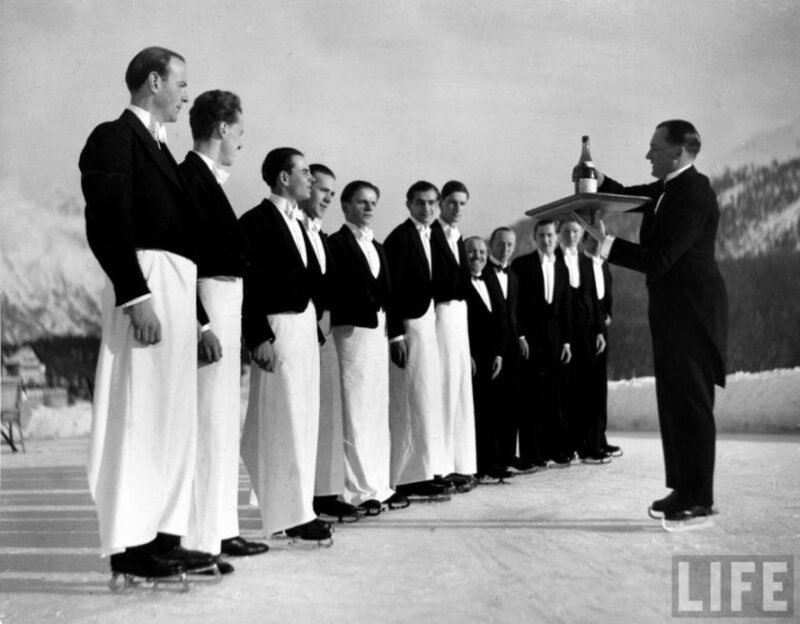 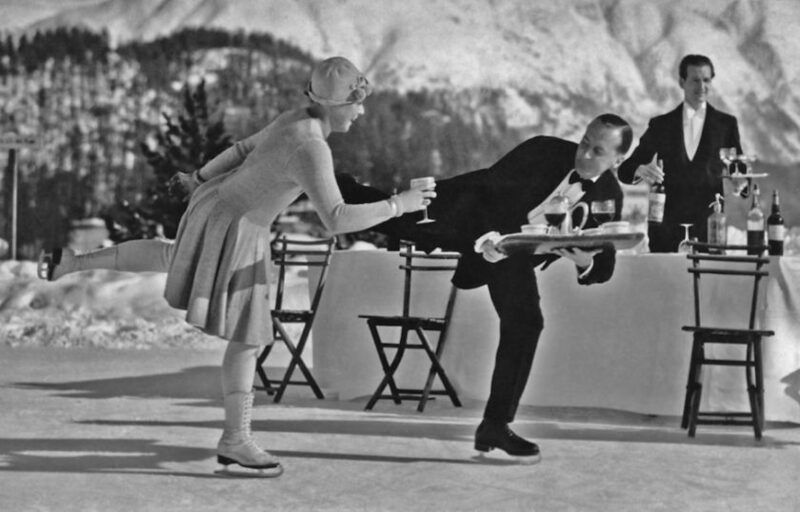 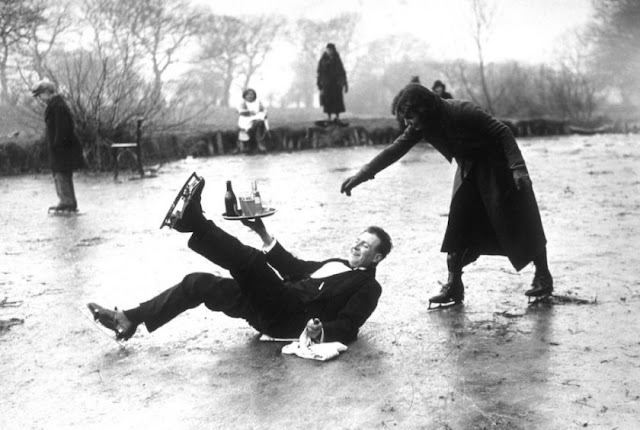 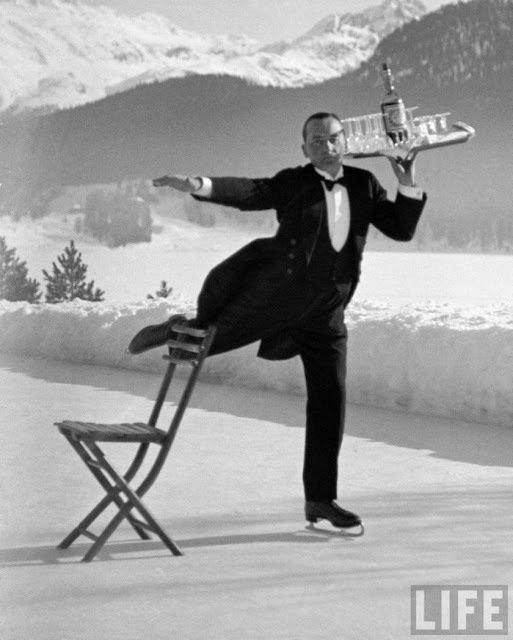 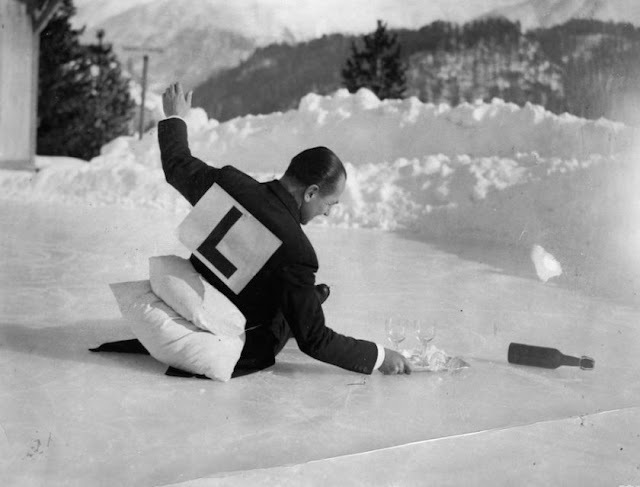 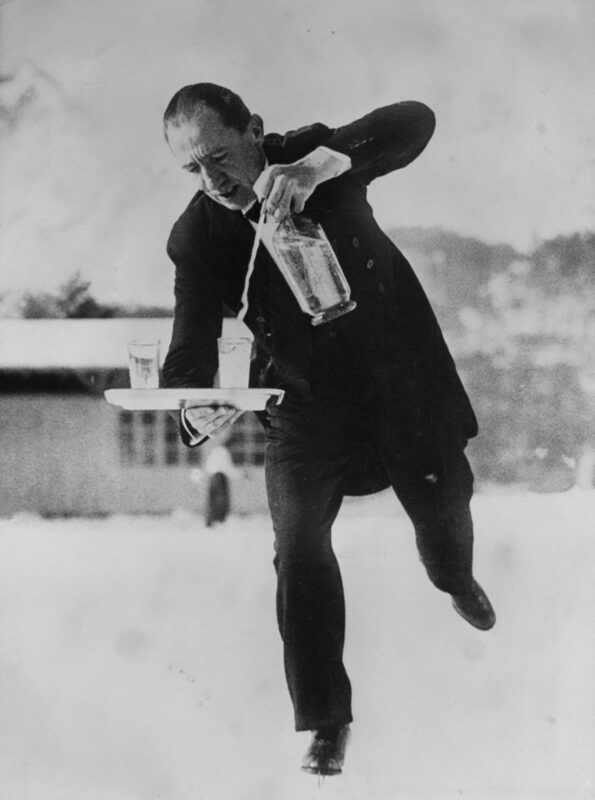 In the 1920s and '30s at the Grand Hotel les Bains in St. Moritz, Switzerland, they had the right idea: serve drinks on its ice terrace by skating waiters. It took some practice getting the rest of the staff serve cocktails successfully. 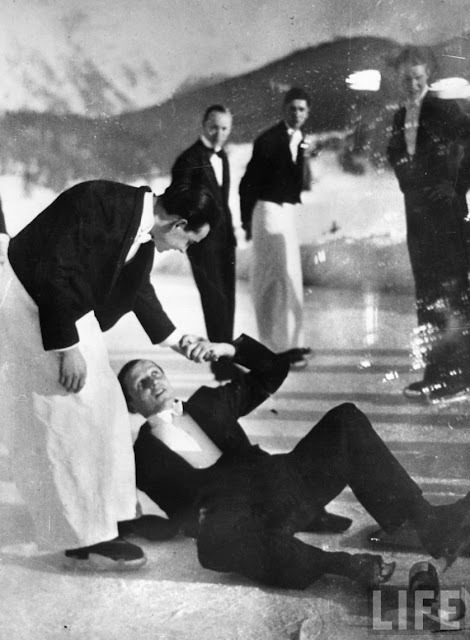 For some clients, waiting for servers take a spectacular fall while balancing expensive booze on a tray was obviously half the fun. 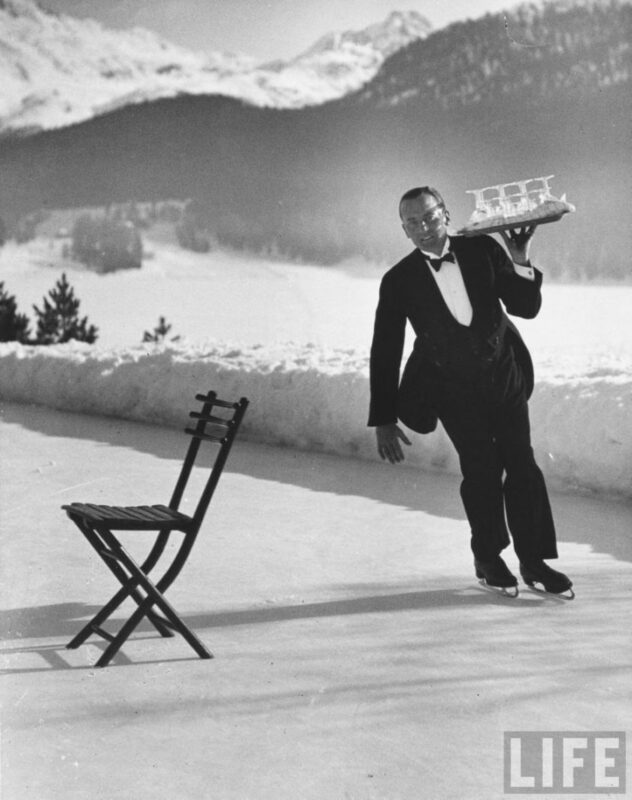 German photographer Alfred Eisenstaedt, who was then on staff for LIFE magazine, captured the Grand Hotel servers on film - balancing serving trays all while gliding on one foot. 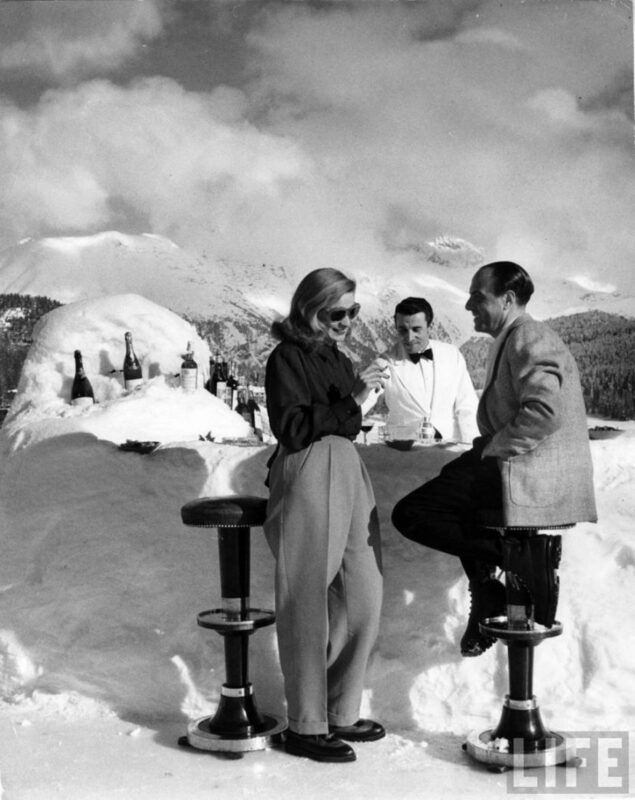 St. Moritz is located in the Engadine valley in the Swiss Alps, which is surrounded by mountains on all sides. 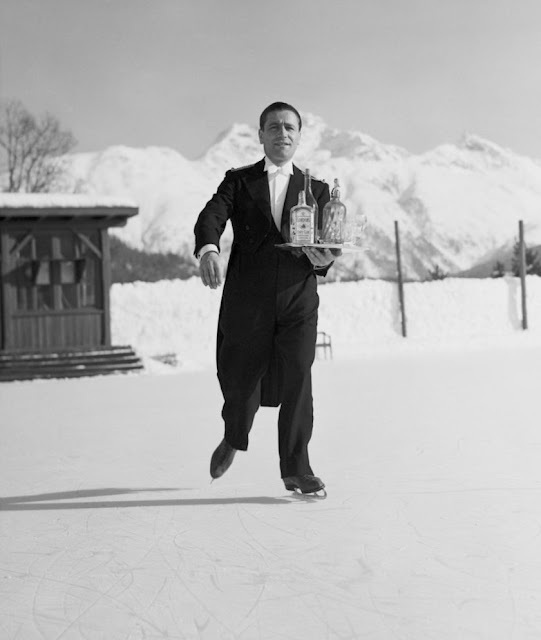 The city, which is known for its ski resorts, was host to the 1928 and 1948 Winter Olympics. The 1928 Winter Olympic Games was the first true Winter Games because it was not held in conjunction with the Summer Olympic Games. 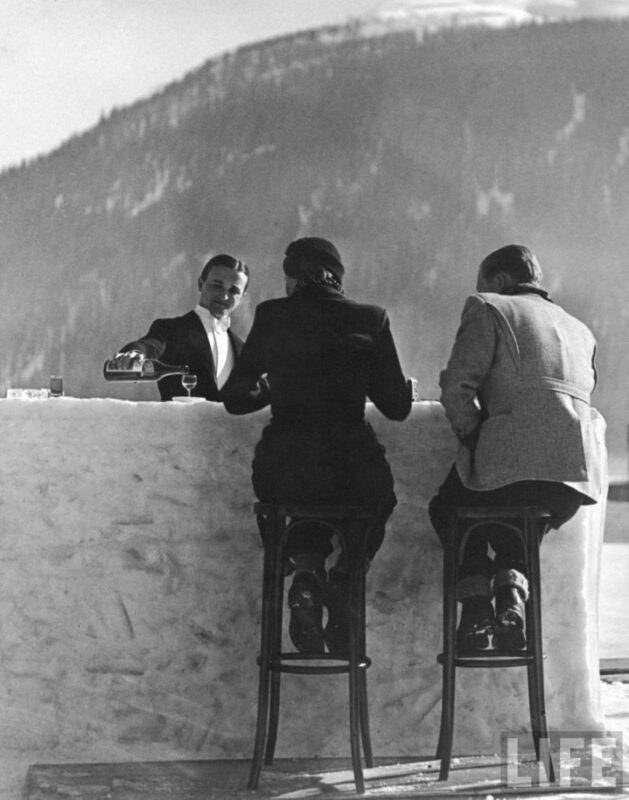 The area, which was and is still popular with the jet set, “was a popular playground for many famous people,” according to the St. Moritz Tourism board. Alfred Hitchcock, Brigitte Bardot, Charlie Chaplin and Greta Garbo were all regular guests.